For the PhD: No. You can apply at any time for entry—though there are only two windows for commencement of your studies: September and January. You are advised to apply as early as possible and if you wish to be considered for SASP or SGSAH AHRC funding (Home/EU students only) then you must apply in early January (date to be announced soon). For the MPhil, MLitts and Conversion Diploma: Yes. The application deadline is 1 August 2019, but applicants should apply as early as possible for international visa purposes. You should also check whether potential funding sources have their own deadlines. If you are applying for such funding, your formal application to SASP must be processed in time to meet those deadlines. Which degree should I apply for? If you already have an undergraduate degree in philosophy and want to continue to do a PhD in SASP or elsewhere, then you should apply for either the one-year taught MLitt or the two-year MPhil, the first year of which is taught and the second year of which is research. You can also upgrade from the one-year MLitt to the two-year MPhil. If you have a Master’s degree in philosophy which is equivalent to the SASP MLitt, then you may be considered for direct entry to the PhD. What if I don’t already have an undergraduate degree with a major in philosophy? Students without an undergraduate degree with a major in philosophy (or the equivalent) are advised to apply for the Conversion Diploma. Students who successfully complete the Conversion Diploma can then proceed to the MLitt. Can I proceed directly to the PhD? Yes. If you have a Masters degree (in philosophy) which is equivalent to the SASP MLitt, then you may be considered for direct entry to the PhD. Does the MLitt automatically lead to the PhD? No. Once you have been accepted into the MLitt, admission to the PhD depends on two conditions: (1) There must be a suitable supervisor for your intended project; and (2) you must do well in the MLitt. The requirement for continuing to the SASP PhD is an average of at least 16 overall in the MLitt, on the St Andrews 20-point grading scale. Because of the second condition, acceptance into the PhD can only be officially confirmed in September, after your dissertation has been assessed. Is there a two-year masters degree available? Yes. The MPhil is a two-year masters degree, the first year of which consists of the MLitt and the second year of which is a research year in which you write a dissertation. Is there funding available for the MLitt? Yes. Please see full details of MLitt funding here. Is there funding available for the PhD? Yes. Please see full details of PhD funding here. Is it possible to start the SASP programme in the Spring Semester (January/February)? For the MLitt and MPhil: No. The MLitt/MPhil programme always starts in early September. It is not possible to enter the programme in the Spring. For the PhD: Yes. PhD students can begin studies in September or January/February. For the Conversion Diploma: You will typically start in September but we may consider entry in January/February in exceptional circumstances. Can graduate students work as tutors or teaching assistants? 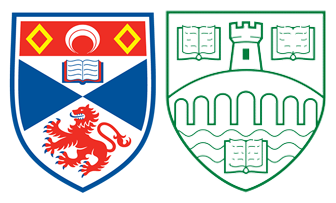 PhD students are invited to take first year and second-year tutorials in both St Andrews and Stirling. The usual load is 2-6 tutorials per week for twenty weeks during the year. It is not possible to fully support yourself by teaching. Students enrolled in the MLitt and MPhil are not allocated tutoring duties. The SASP course is taught in English. If you are a native speaker and/or if your undergraduate degree was taught in English, then you do not need to provide further evidence of competence in English. If you are NOT a native speaker AND your undergraduate degree was NOT taught in English, then we require a recognised English Language test. The university of St Andrews offers pre-sessional English courses – you can find out more about them on the website of the St Andrews University English Language Teaching Centre. Do I need a research topic before I arrive? For the MLitt/MPhil: It is not necessary to a specific research proposal already worked out when you apply for the MLitt/MPhil. Topics for the MLitt dissertation are worked out during the academic year, in consultation with the course convenor and potential supervisors. If you wish to be admitted directly to the PhD, then you DO need to have a specific research proposal for your thesis as part of your application. We would also need to find someone who is willing and able to supervise your topic. You should also feel free to approach members of staff directly yourself. Can I study away from St Andrews?